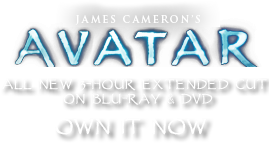 Baby Carrier | Pandorapedia: The Official Guide to Pandora | Own AVATAR on Blu-ray & DVD Now! A tight frontal wrap keeps Na'vi infants close to their mother or father’s body. The carrier keeps babies warm and allows the parent to run, climb and carry out domestic activities. The wrap also helps socialize Na’vi children, who are face-to-face with their parents from their first days and thus learn appropriate facial cues and gestures.